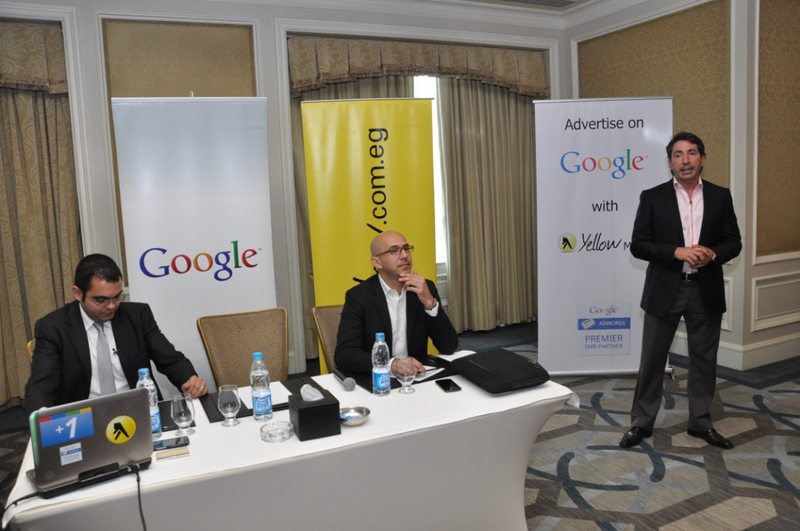 Yellow Media – Formerly known as Egypt Yellow Pages and Google Ireland have signed strategic partnership agreement that will make Yellow Media the first Google AdWords Premier SMB Partner in Egypt and the second one in North Africa. 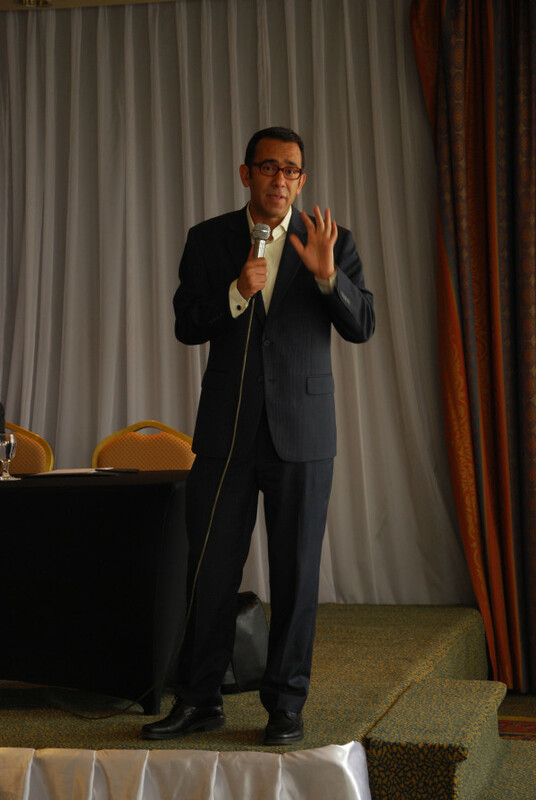 The official announcement was made on April 22, 2012 in the Four Seasons Nile Plaza hotel with tens of attendees of technology reporters and journalists from major news papers and online news and technology portals in Egypt. 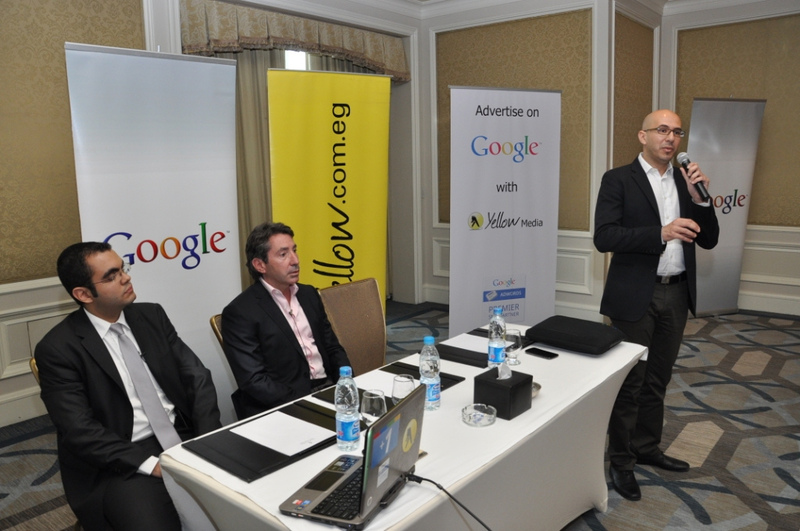 The event was held by: Marc Lambert – Managing Director of Yellow Media, Ahmed Hafez – Head of Sales in Google Egypt and North Africa, Lars Mourey – Director of Sales & Marketing in Yellow Media, and Mohamed Salah – Director of Digital Media in Yellow Media. 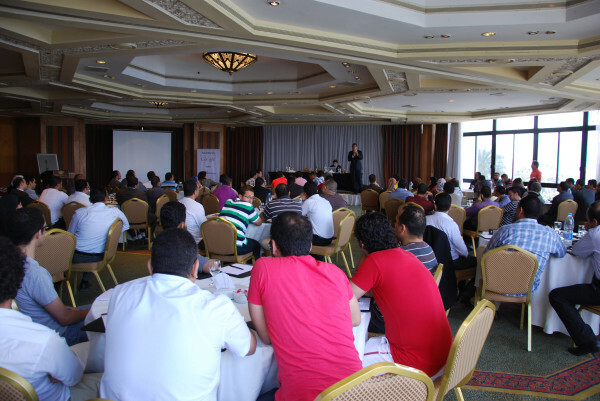 Following the official launch event, a 2 day intensive training course was given to 200+ Yellow Media sales professionals by the Google Egypt team. Wael Fakharany – Regional Manager Egypt, and North Africa – Google gave a very insightful keynote speech about the success story of how he managed to transform Google Egypt from a country office that only had one individual (Wael Himself) to tens of millions of dollars in a few years. To get a free consultation now, or to sign up for Google AdWords fully managed service by Yellow Media. Here are some words i have chosen that were approved by google as good traffic words: Egyptian stock market, Egyptian stock market news, Egyptian Bursa, EGX30 prices, Talaat Mostafa Stocks, Mobinil Stocks, …. On 17 July, hits dropped to 25, so i opened the control panel to see what was wrong, if found that google suggest me to change the CPC bid amount to $0.07 for Egyptain Stock Market instead of $0.05. I did that and here we go again, hits reached 80’s again. On 21 July and 27 July, I had to re-adjust the CPC again and again until it reached $0.21 which seemed after this that it was not enough… I just started to give up, i can’t keep monitoring this way on aday to day basis… I have other more important stuff to do than adjusting some keywords CPC… I took a look after a while and i found that the CPC recommeneded by google Passed the $1.10 margin!! I was paying 5 cents for a keyword and getting good traffic. Now i am paying 21 cents and hardly getting any traffic.. Then i was expected to pay one dollar for each click!! All the credit i have (60$) and was planning to use for one month would now evaporate in one day. I don’t like PPC model, too much complicated. Normal end users and SME would find it extremely difficult to manage this on their own unless provided to them by an advertising agency that manages their account. Putting in mind also the special needs of customers in the middle east and that they would rather have someone do these things for them instead of doing it themselves because it is too “technical”. Self provisioning and PPC model might not be the best advertising solution for MEA region. The Yellow Pages time-based contractual model is simple, efficient and easy. If you compare it to PPC model it is also much more cost-effective. As a Google Analytics customer, we know that you care about the quality of traffic coming to your website, so we wanted to introduce you to Google AdWords. 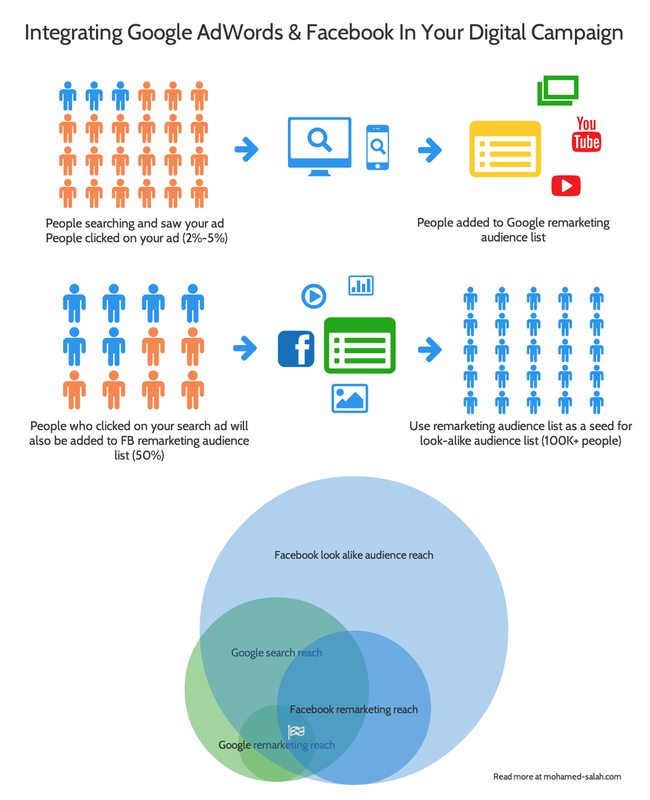 AdWords works by placing targeted advertising alongside Google’s search results. To help you get started with AdWords we’ve sent you a voucher for 50USD of Google AdWords advertising. The voucher is risk and commitment free, so start advertising today and drive more traffic to your website. So i signed-up for a Google AdWords account to try it with the 50$ voucher i was given, to claim my voucher i had to pay an additional 10$ from my credit card, so although the voucher is free, you still have to pay something to claim it. This was not what i expected from the email above which seems to me as if it is really something free to try. It’s just like someone offering you a free cup of coffee or a free snack at his cafe to try it and if you like it you would come back yourself after this. However, at the moment you stepped inside his cafe he asked you to pay some entrance fees that you will get you an extra drink.